The Innovation Studio is a MakerSpace at Georgia Southern University located in Statesboro, Georgia. The Studio serves teachers, students, faculty, staff, youth, and local community members. In the studio we strive to foster a culture of innovation and prepare future leaders to learn, make, and play with cutting edge technologies, while they seek solutions to real world problems. On Saturday, May 13, Georgia Southern University hosted its first Scratch Day event in the College of Education’s Innovation Studio. Scratch Day is a global network of events aimed to give educational professionals the opportunity to explore Scratch, a free coding platform and online community designed for kids. The event was open to educational professionals who wanted to learn or share knowledge about Scratch and discover how it can enhance learning opportunities for students. 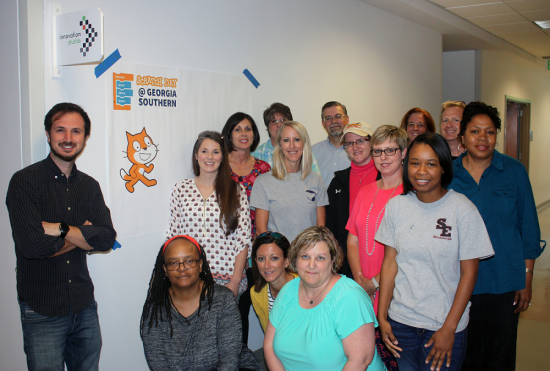 Fourteen educators representing Bulloch, Burke, Candler and Effingham County schools participated in the inaugural event including both group and one-on-one activities to explore Scratch and the implementation of the platform in the classroom. 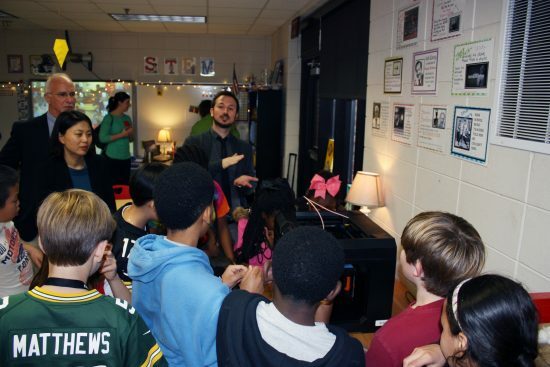 The Innovation Studio in the College of Education at Georgia Southern University awarded Sallie Zetterower Elementary School as the winner of the 3D Printer for Your School contest. The Innovation Studio founders and the College of Education established the contest to provide an opportunity for collaboration while offering students the chance to broaden their problem solving and critical thinking skills through STEM activities. 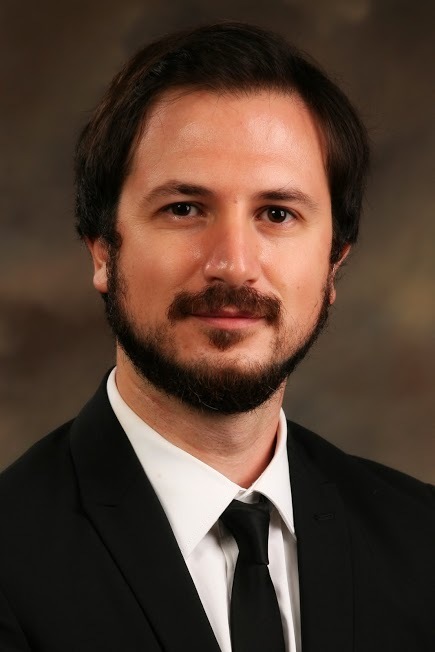 Assistant Professor in the College of Education Leadership Technology, and Human Development Department.